Suicide and mental illness among Canadian first responders represents a major health issue, with about 250, including 63 paramedics, having taken their own lives since 2014 (The Tema Conter Memorial Trust (Tema)). Considering this, it begs the question: why haven’t we been working harder to save those who spend their days and nights saving us? Motivated by her personal experiences as a frontline social worker, Johnson Shoyama Graduate School of Public Policy's (JSGS) Master of Public Policy (MPP) candidate, Jennifer Chouinard, is determined to make a difference. She is conducting international research on mental health policies and programs that have been successful in reducing the incidents of psychological injuries and suicide among paramedics. Working alongside Medavie Health Services West, the western branch of the national Medavie Health Services organization, Chouinard is helping to identify solutions to an increasingly alarming situation, using real feedback from frontline paramedics. “I believe that it is vital to ask frontline workers what their day-to-day reality is like; what their needs are and how we can meet those needs,” says Chouinard. High call volumes – High call volumes create tension for paramedics who are already working in a high-pressure and high-stakes environment. There is often little time between calls for paramedics to receive peer support and/or take meal breaks. In paramedicine, call volumes and resources are gauged by Unit Hour Utilization (UHU) – the number of transports divided by the total number of unit hours in a 24hr period. An acceptable UHU score is 0.35-0.45. In Saskatoon, Medavie Health Services West is reporting scores between 0.5 to 0.6 and an increase in time spent on scene from one hour to 70 minutes. To bring the UHU score to a manageable level and to keep up with the call volume, Medavie Health Services West would require four more ambulances on the street within a 24hr period. Uncontrolled environments on scene - Once on scene, paramedics often treat patients in an uncontrolled environment that is sporadic and unpredictable. They shield the patient and themselves from lingering dangers and overly curious passersby while the environment and emotions fluctuate around them. In the heat of the moment, onlookers, uninjured individuals involved and even injured patients may act out in fear, leaving paramedics at risk of harm. 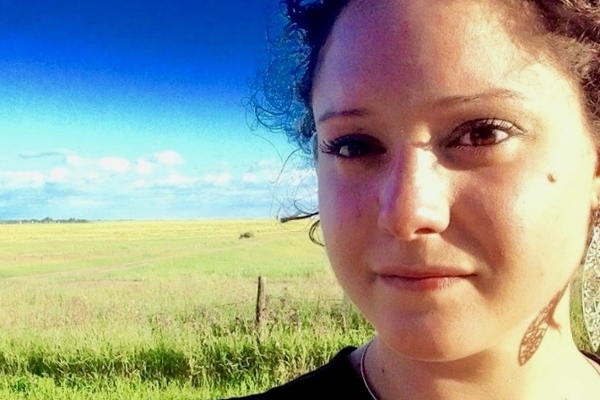 Concern for the mental health of their coworkers – With increasing awareness and two recent losses to suicide in Saskatchewan, many paramedics worry about the current mental health interventions available. The uncertainty of what the future may hold for them and their coworkers is additionally taxing on a paramedic. Lack of understanding from the public on when to call 911 - While the public expects a quick response time, prolonged wait times in hospitals and unsuitable calls made by the public are the greatest contributors to slowing down the system. In Canada, public safety services have done an excellent job of showing the public where to turn when a perceived emergency takes place – call 911. This sometimes creates a false sense amongst the public about when emergency services are required. On occasion, paramedics respond to calls that are not emergencies and could otherwise be treated by different branches of healthcare (medical clinics, mental health and addiction services, etc.). Offloading delays - Paramedics are often waiting in hospitals, as they are unable to offload patients to nursing staff due to a lack of available beds in Saskatoon’s emergency departments. Meanwhile, they hear calls come in and are anxious to get back out on the streets to help their colleagues meet demands and respond to other individuals requiring medical attention. Repeat Patients – Chronically ill patients, the elderly, and individuals with problematic substance use often require frequent transport to hospital and hospitalization multiple times over short periods. Continually seeing and treating repeat patients puts an emotional strain on paramedics who often spend extended time with the same individuals. 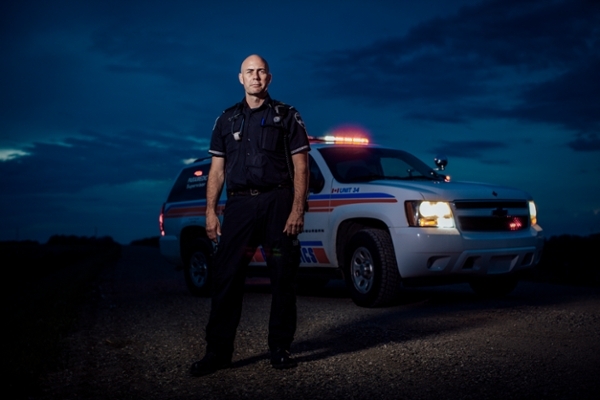 Lack of time and resources to build connections among the paramedicine network – Paramedics in Saskatoon are always looking for opportunities where they can support each other and a build a connection based on mutual experiences and understandings of the paramedicine culture. However, not every paramedic has the opportunity to support or be supported after completing a 12hr shift, but almost all can identify a crewmember they consider supportive. These stressors are in addition to responding to the actual call itself. These calls range from major accidents, such as the Humboldt Broncos bus crash, to treating patients involved in violent offenses, to dealing with individuals suffering from cardiac arrest, dementia, problematic substance use or the loss of a child. Beyond medical assistance, they are increasingly put in a position of providing a wide range of healthcare supports. In Canada, paramedics are over twice as likely as the general population to develop some form of Post-Traumatic Stress Disorder (PTSD), with over 25% of paramedics considered to meet the criteria of a PTSD diagnosis—and this doesn’t include those suffering from anxiety or depression. Both Chouinard and Schriemer agree that the implementation of Bill 39 (the psychological injury presumption), overall, has not successfully assisted all psychologically injured paramedics and often puts more pressure on the employer and the injured employee. For instance, Medavie Health Services West is covering large gaps in lost wages and treatment costs—which are the responsibilities of WCB—so that its employees aren’t waiting several months for support. While conducting her Master’s research, Chouinard was inspired by the progressive and comprehensive staff support service available to paramedics at Queensland Ambulance Services (QAS) in Australia. Chouinard would like to see a similar investment made in Saskatchewan—from the government, employers, unions, academics (in both training and research), and community groups. QAS’ unique approach educates paramedics on the psychological challenges of the job, while also providing them with the processes, support systems and skills to prepare for and cope with what they will experience. This approach emphasizes support for the paramedics from the organization itself and their peers so that they know where to go for help, especially before they need it. The pain of psychological injury and suicide has been felt across Medavie Health Services’ operating companies, prompting the organization to continue looking for additional supports for paramedics and dispatchers. Currently, they offer programs such as the Road to Mental Readiness (R2MR) course to both employees and their families. This program is designed to reduce the stigma of mental illness and to address and promote mental health and resilience in a first responder workplace setting. The Johnson Shoyama Graduate School of Public Policy would like to extend our most sincere gratitude to all paramedics and first responders in Saskatchewan and across Canada. If you are in or around the Saskatoon area, call the Saskatoon Crisis Intervention Services Inc.